Thomas Adrant King, 81, of London, died Saturday, June 16, 2018, at Russellville Nursing & Rehabilitation Center. The son of Travis and Ruby Christine (Clowers) King, he was born June 20, 1936, in Monroe, Louisiana. Following high school graduation, he attended Northeast Louisiana University and worked as a wholesale representative in the food industry. Thomas was a member of the local Russellville Ruritan National, and active in the Sunday School teaching ministry of London First Baptist Church. 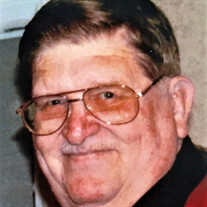 He enjoyed welding, cars, motorcycles, and drag racing. His most notable claim to fame was his great enthusiasm for collecting and watching old western movies. His "Daffy Duck" impression will never be forgotten. His most proud accomplishment was his three daughters. He was fun-loving, easy-going, and eternally optimistic. His trust in Jesus and his faith allowed him to truly live "one day at a time." All who knew him have only admiration, kind words and sweet memories of him. Thomas was preceded in death by his parents. Surviving his life & legacy are his three daughters, Carol King of Queen Creek, Arizona; Dana Boyd (Ben), and Misty King, both of Kansas City, Missouri; five grandchildren, Benjamin Boyd, Jr. (Emily), Bethany Park (Austin), Audra Boyd, Sydney Davis, and Trenton Davis; two great grandchildren, Hazel Park and June Park; a great grandchild on the way, "Baby Boyd;" and his daughters' mother, Glenda Chapman. The family will hold a private memorial service at a later time. Cremation arrangements are under the direction of Humphrey Funeral Service. Internet obituary and on-line guest book are available at www.humphreyfuneral.com.